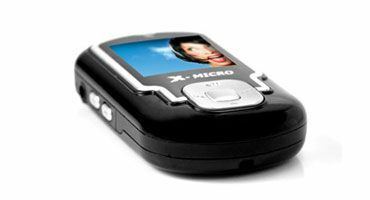 Taipei, August 14, 2006 – X-Micro Technology Corp. today unveiled its new MP4 F610 music video player. This sleek new player features a brilliant full-color display for viewing music videos and photos. F610 also plays MP3/WMA music files, tunes in FM radio and also has good recording function. Best of all, the design of F610 makes it super easy to carry with you. It can slip right into your pocket with its curvy shape and aesthetic contours. The most eye-catching feature of F610 is a vivid full-color 262,000 OLED video display. Its brilliance and color intensity make images appear larger and more lifelike than seems possible for a 1.5 inch 128 x 128 screen. The vibrant color screen offers clarity and detail as well as a wider viewing angle up to 140 degrees, outperforming other rivals. F610 is installed with software that converts MPG and WMV video files into the optimal video format. “F610 is perfect for the portable digital lifestyle,” said Luis Lin, president of X-Micro. This tiny device has a stunning color display plus amazing audio. The sound quality of F610 is exceptionally realistic. Choose among five preset EQ settings to let your music sound its best. 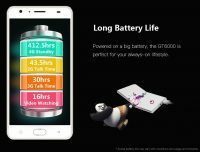 The high performance of Li-ion battery gives you up to 18 hours continuous playback time and then allows this battery quickly recharged.